In October 2009 De Boer has launched the Spectrum. This is a temporary/semi-permanent space solution for the international rental market. Now, a year later, the first Spectrum features as a Preview Centre for a period of 2 years for the Floriade 2012 in Venlo, the decennial World Horticultural Expo. 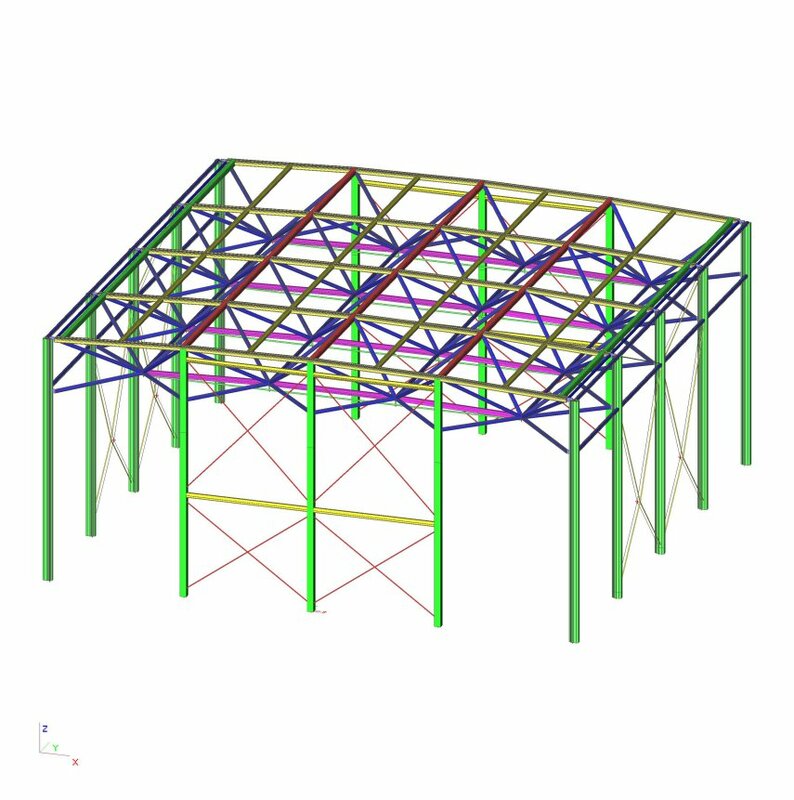 The Spectrum is a result of an intensive development period: it is a unique, modular demountable aluminium space frame structure that can be used for a wide range of temporary and semi permanent applications for rental periods from one week up to many years. The large variable internal height (up to 7 m) and huge variable spans (up to 60 m) and the possibility of an additional floor, make it a quick-to-build, flexible space solution for stores, supermarkets, sports halls, storage halls, theatres and much more. The Spectrum has been developed based on the building regulations in the Netherlands, Belgium, Germany, France and the UK, which represents the quality and safety of this space solution. 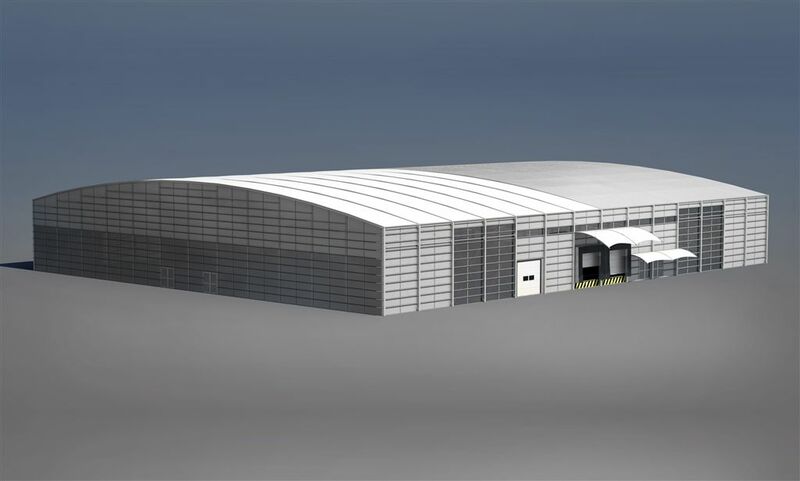 The Spectrum is a Rapid-to-Build, Flexible and Demountable building (RFD). It is based upon an aluminium structure made of aluminium extruded columns on top of which an aluminium space frame roof construction rests. The aluminium facades can be fitted with insulating sandwich panels or high efficiency double glazing. Besides sandwich roof panels the roof structure can be fitted with an insulating double layer roof membrane. While maintaining a high insulation value, this roof membrane allows for a quicker erection time for the structure. The Spectrum has a unique integrated self-lifting system for the roof. This means the roof, with a span up to 60 m, can be lifted without the use of heavy and expensive cranes. This also means that the Spectrum can be built on locations where the available space is too limited for other types of solutions. The roof can be lifted including the roof panels and all auxiliary systems. This is an important aspect from Health & Safety point of view, since it prevents people having to work at great heights. The multifunctional aluminium extruded columns made the integration of this lifting system possible. Scia Engineer was used to design and check various configurations of the Spectrum. The Spectrum is a modular design based on a 5 x 5 m grid. It can be built in a span from 10 m up to 60 m, with lengths of 10 m up to 120 m. Also the Spectrum can be build in three different heights (4 m / 5.6 m / 7.2 m side wall height), with or without an extra floor system at 3.6 m height. This results in many possible configurations. To minimise the number of models, the normative structures are determined by means of a sensitivity analysis on simple models. 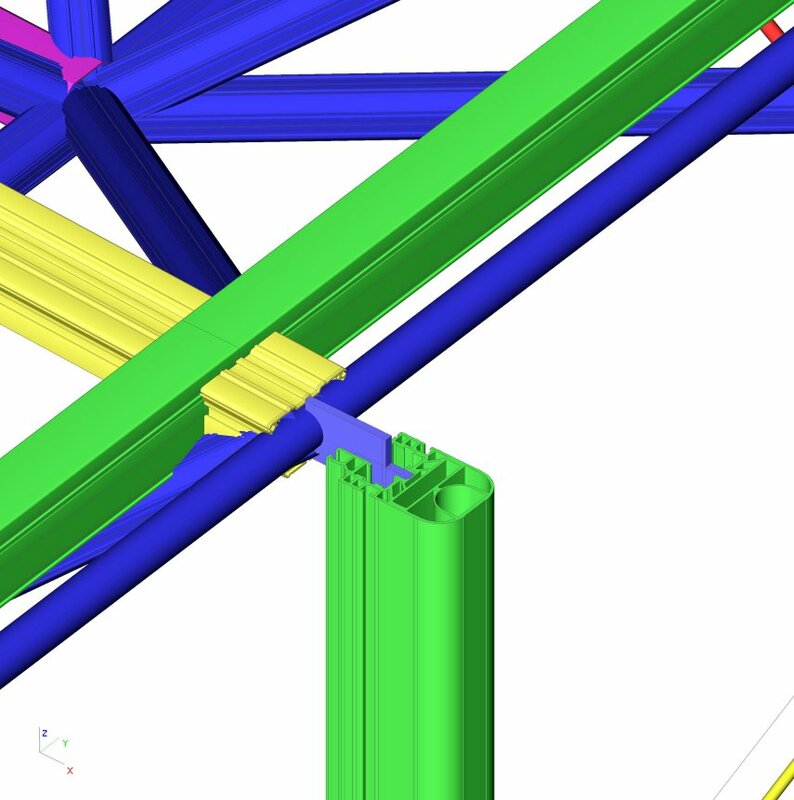 To be able to design the extra floor system independent from the main bearing structure, it was decided that the additional floor should have its own bearing system despite the internal columns. The horizontal forces out of the floor system (considerably large due to the event requirements) are introduced into the main bearing structure of the roof. The difference in stiffness between these two systems was determined iteratively. 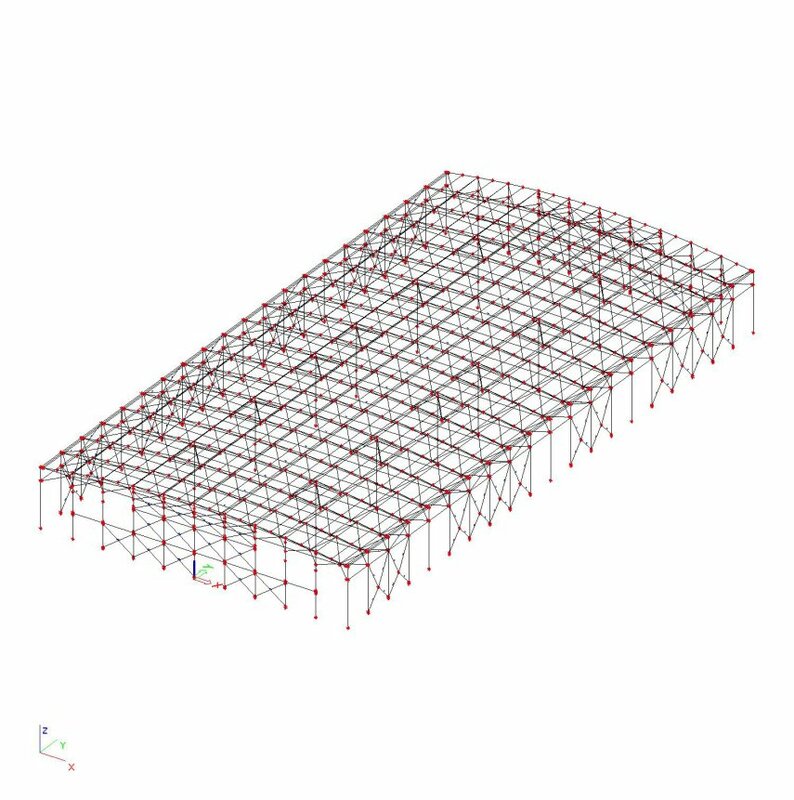 With the horizontal forces out of the floor system nine models (in the range from 20 m span to 60 m and length in the range from 20 m to 120 m) are built and checked with the required load combinations. 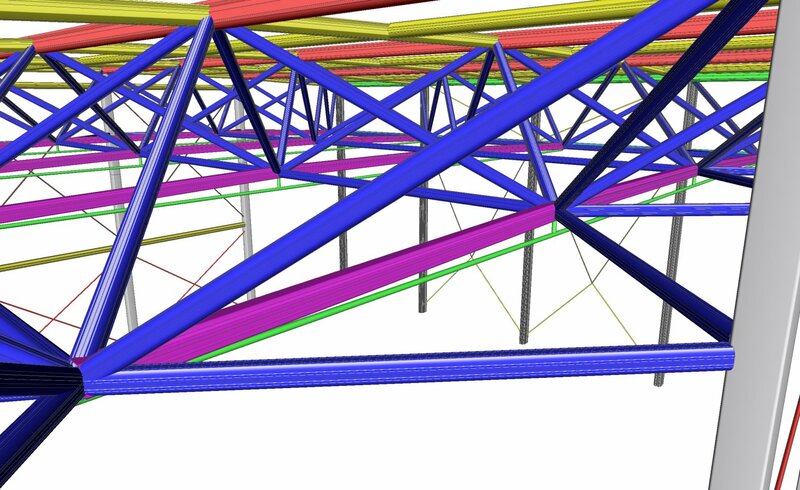 These models are used to optimize the structural elements. 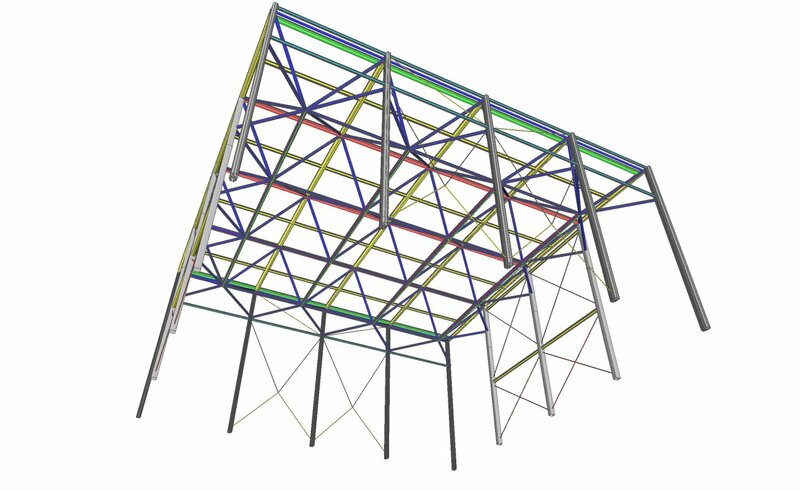 Several different aluminium extrusion profiles, used in the roof system, are designed in different strengths, which allow for the possibility of extra roof loading, only when required. 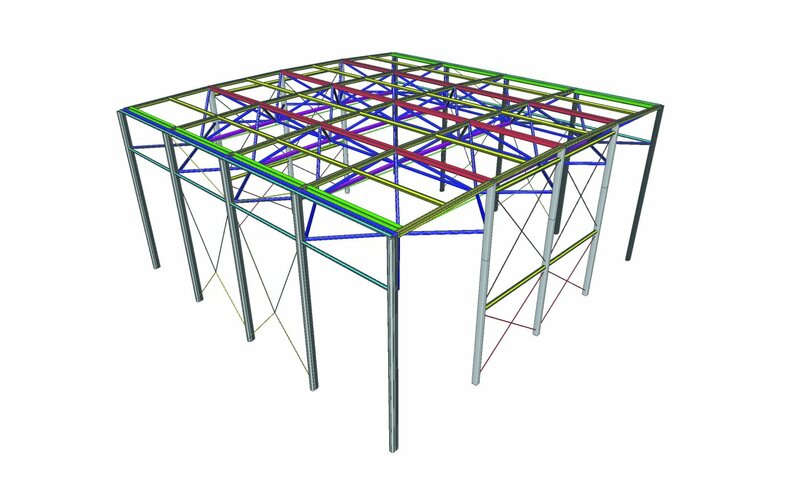 Several models (in different span and length sizes) are made to check the lifting system and resulting forces in the roof system and columns. During lifting a maximum free span of 60 m is possible. However, internal columns are needed to carry service load. The play in the connections should level the pretension in the tension cable to minimize deflection during installation.